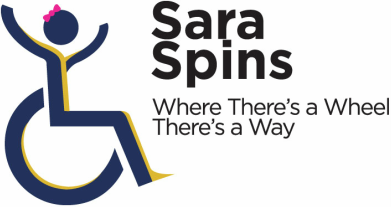 Sara Spins is an organization dedicated to raising awareness and the necessary funds for students with disabilities to provide the technology and tools to pursue their higher education. The Sara Spins foundation was started in 2012 at the Southwest Ohio Hugh O'Brian Youth Leadership Seminar to help Sara Whitestone get the motorized wheelchair she needed to attend the University of Cincinnati while living with a chronic illness. Since then, Sara Spins has continued supporting other students with disabilities. Sara Spins has raised over $35,000 for students with disabilities so far!